...my source of strength, my source of hope is Christ alone. Tuesday, April 23rd - 7:00 p.m.
Wednesday, April 24th - 6:30 p.m. Hike begins at 12:30 p.m.
BBQ Hot Dogs! Ice Cream! Live Music by Double Stop Creek! Saturday, May 18th - 7:30 a.m.
and be part of a caring, serving community. but whether or not he rose from the dead. 2019 Spirit of Oliver Award winner! 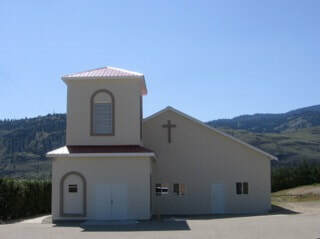 Small Group (Osoyoos) - 7:00 p.m.
Small Group (Oliver) - 6:30 p.m. Prayer Gathering - 9:15 a.m.